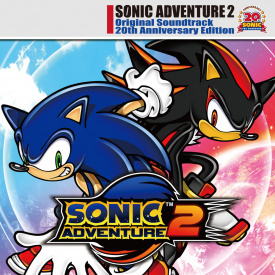 Sonic Adventure 2 Original Soundtrack 20th Anniversary Edition is a "best-of" album featuring music from the Sega Dreamcast game of the same name. It contains 28 of the original 60 tracks from Multi-dimensional Sonic Adventure 2 Original Sound Track, along with Sonic and Shadow's themes that were on Cuts Unleashed SA2 Vocal Collection. This was the second release from Wave Master to celebrate Sonic the Hedgehog's 20th anniversary, and was subsequently released on digital music services. This page was last edited on 30 December 2018, at 19:24.